DOG STUFF! | HUMAN STUFF? 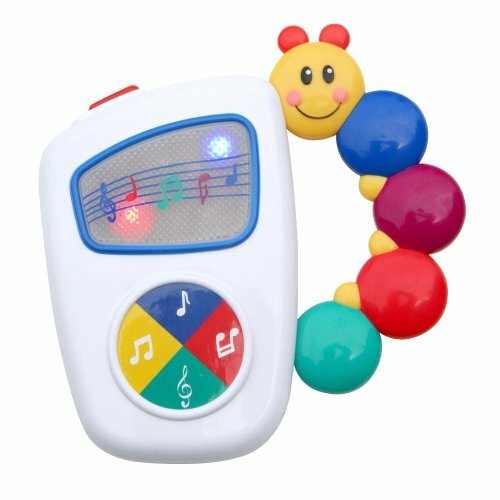 Summary: It's like an iPod for babies! Contains seven high-quality classical music melodies, with lights that change to the rhythm! The built-in caterpillar-shaped handle is great for little grabbing hands (and possibly teething mouths, too...but I'm not an expert). Summary: With this minifigure police officer patrolling the brick-lined skies in his helicopter, LEGO high speed chase instigators don't have a chance. Summary: Give your little one (literal or at heart) the gift that keeps giving for an entire year! Six LEGO sets are sent over the course of the year (one every two months), as well as six special-edition magazine issues, two coupons, and a free child's admission to LEGOLAND (with paid adult ticket). Price: About $40 - limit one per customer, according to the LEGO Shop at Home website. Summary: A nice, minifigure-friendly house (albeit you provide the people) with a pond and a patio. Contains instructions for three different houses, but you can always use your imagination for these construction toys! Kate's Toys! is a blog written from the point of view of a dog named Kate. She will muse about things that interest her, which generally include stuff for dogs and sometimes stuff for people. "Treat money" (affiliate) links will usually be indicated by a 'K' icon . Please visit often!